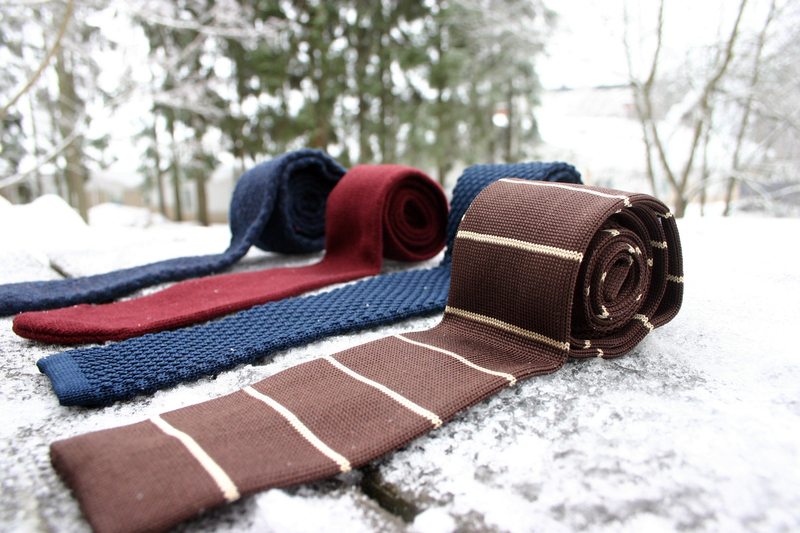 So, as I mentioned earlier, Berg& Berg had some pretty cool knit ties on sale earlier this month. 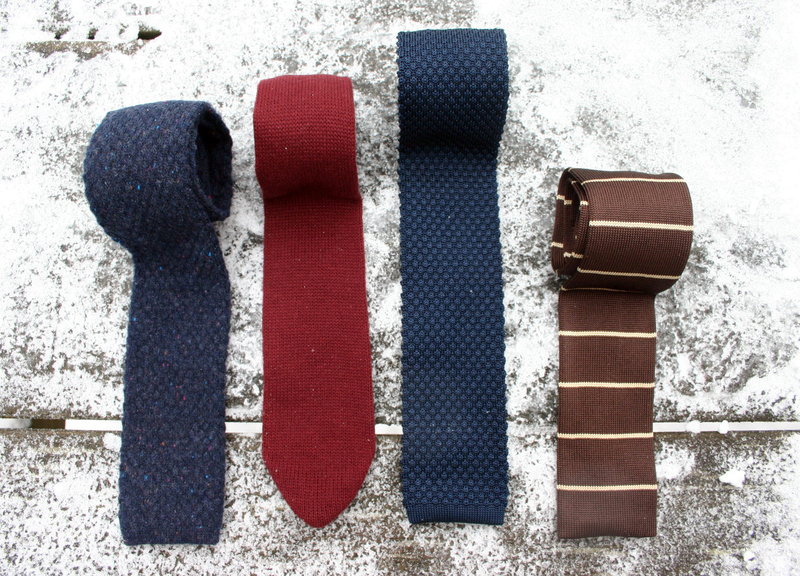 I decided to do some long-term planning and went for what I think were the most versatile ties on sale. 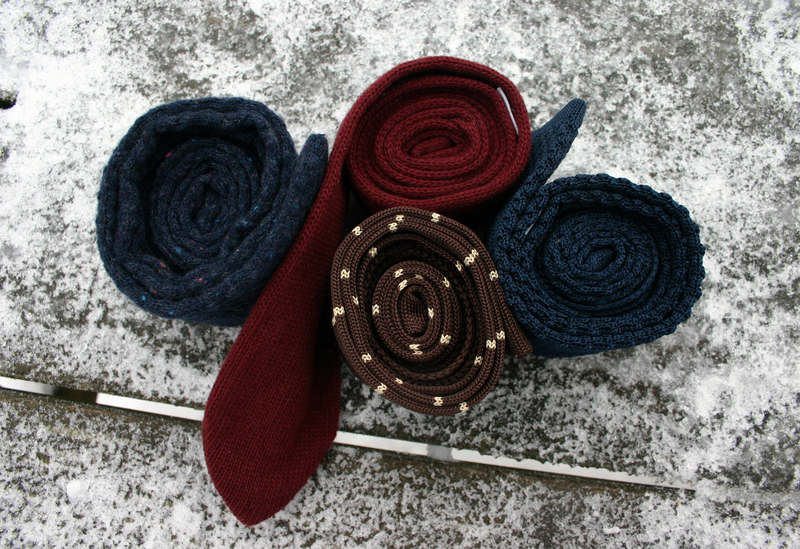 A navy donegal wool knit tie, cardinal shetland wool knit tie, basic navy silk knit tie (yes, I was missing this wardrobe cornerstone) and a brown with cream stripes silk knit tie. Both of the woolen ones will be fall and winter items that should serve me well for years and never really go out of fashion. I got the light grey donegal knit tie from the F/W 12/13 line earlier, and really liked the sort of "airy" texture and the feel of it, so I thought I'd get a similar navy one. This one has more flecks of different colors than my grey one, and it will be a good addition to the casual end of my tie collection. The cardinal shetland wool tie had a tiny bit different shade of color than I thought it would have from the pictures. It is more burgundy and "burnt". However, even though it isn't exactly the color I thought it was, I really like it and it is perhaps my favorite from the four. 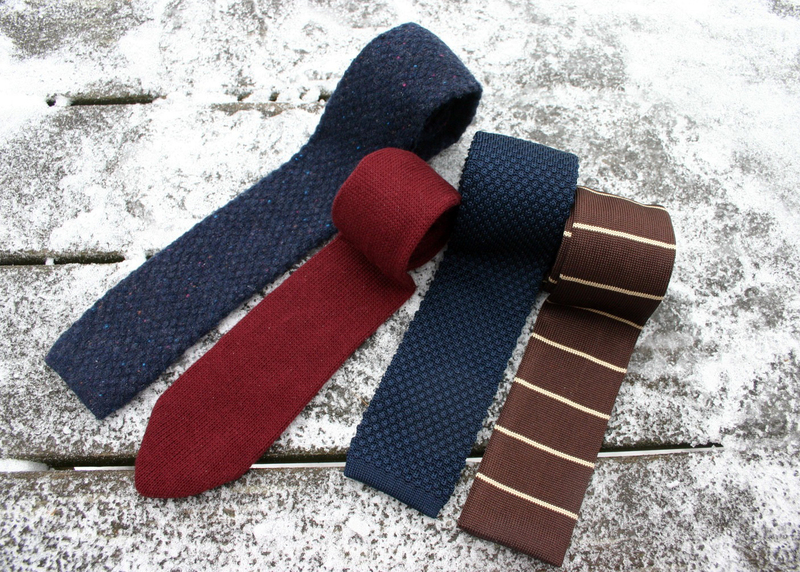 With the silk knit ties I was already thinking about next spring and summer. Both are very versatile colors, and as we all know silk does the job no matter the season. The brown with cream stripes was something I instantly saw with some mid blue and navy jackets during the summer, paired with a brown silk square or perhaps a cream linen square. Also liked the style it has been knit, a bit different to all my other knit ties in quite rough and puffy textures. Lightweight for summer. 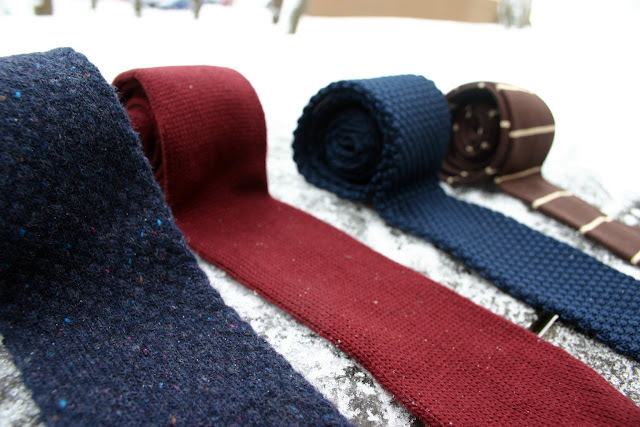 Then, last but certainly not the least, the navy silk knit tie. A must-have piece for any man, now in my tie rack as well. Already featured in my Monday's outfit post, by the way. Good choice, like the four but that red is just wonderful. Love the color and the rounded edges.